Dolphin swage tools are a heavy duty tool for heavy duty use. Made in Australia from imported components, heat treated & reassembled in our Brookvale workshop. 7 different tools available from the small (18” 450mm) AA-23 up to the largest single hole AA-27 for 12mm synthetic rope swages or larger alloy swages. 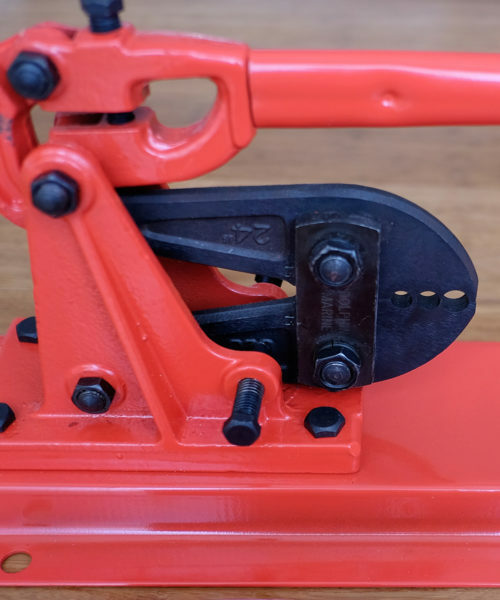 The Dolphin tool has a full-width bite on the swage, meaning you can swage in 2-3 bites along the ferrule rather than 5 or more for light duty tools. This gives a neater cleaner finish with less chance of sharp burrs which can cut personnel and tear sails. A must for any sailor, yachtsmen and fishermen as well as riggers and tradies. A recent addition to the Dolphin swage tool range, every swage tool is duplicated in a bench mounted equivalent. Weighing 5.5Kg they are a great option for high repetition work. Try wall mounted for space saving & convenience. Interchangeable jaws, one tool for a whole range of sizes. Safe and easy to use, keeping one hand free to hold the job in exactly the right position and no slips or skinned knuckles! 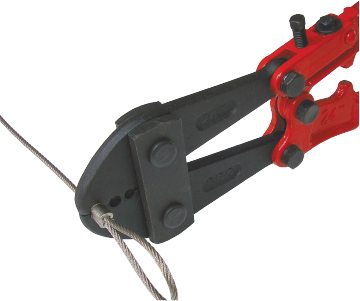 Interchangeable jaws also include a wire cutting head for convenience. Great for yachtsmen & fishermen pre-making traces as well as riggers & tradies.